I am off to church with two of my daughters in law this morning. Our pastor's wife is leading a ladies' event and we are all so excited to be attending! I am still using up some of my older supplies (and always adding in something new too) and that's how this card was born. 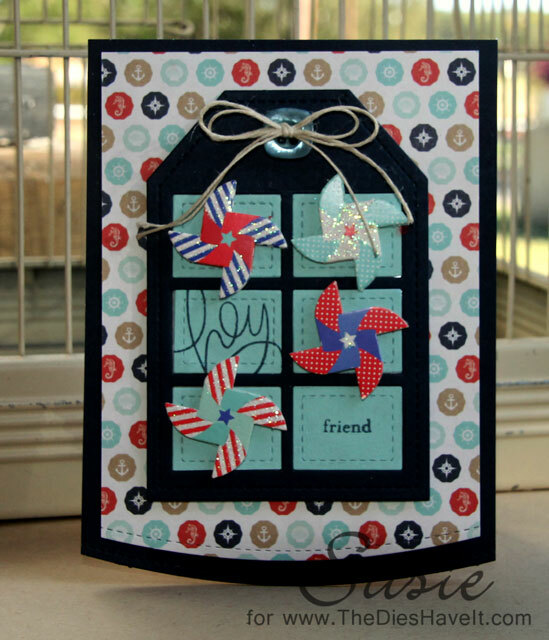 I am at the end of my nautical paper now which makes me sad...but I paired it with this fun die cut from Pretty Pink Posh and some little pinwheel stickers I had been hording. I just love the way it came together!